Flaneur Gallery is pleased to present 3 group exhibitions titled Urban Hysteria. Urban Hysteria unpacks the tensions within our urban condition. The city that we dwell in impacts and shapes our existence; its environment can engender both excitement at the promises of prosperity, and fear when we cannot keep up with its demands. Urban development and personal spaces are common themes that string together the work in the Urban Hysteria : White noise. This final instalment examines the intense pace of modern urban life. In an environment of constant stimuli, the idea of a still, personal space is elusive and sometimes only imagined. The works in this exhibition comment on the connection between noise and the city, as well as the anxieties of living in the urban grid. Sufian Samsiyar’s “dystopian urbanity” is a series of photographs that questions the connection between the urban city and noise. 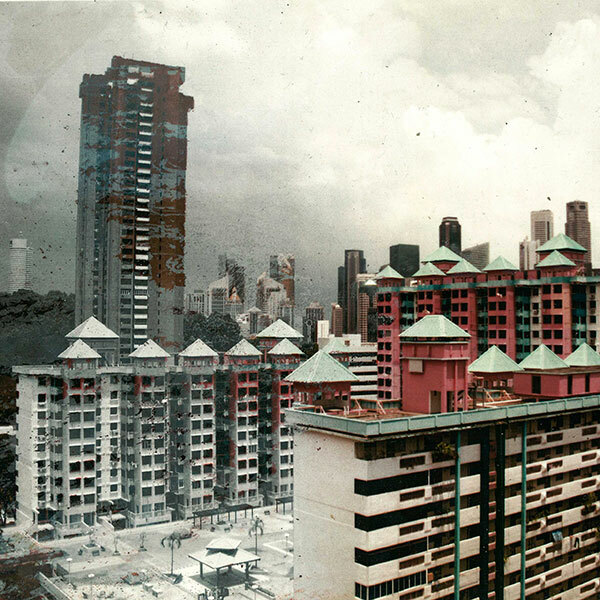 The photographs were manipulated to show a worn and dilapidated Singapore. By hollowing out the city, the work leaves the viewer confronting a barren and silent metropolis. In doing so, we come to greater awareness of how noise, however unwelcoming, is an intrinsic part of the urban experience. Yeo Tze Yang, on the other hand, uses noise as an indicator of change. 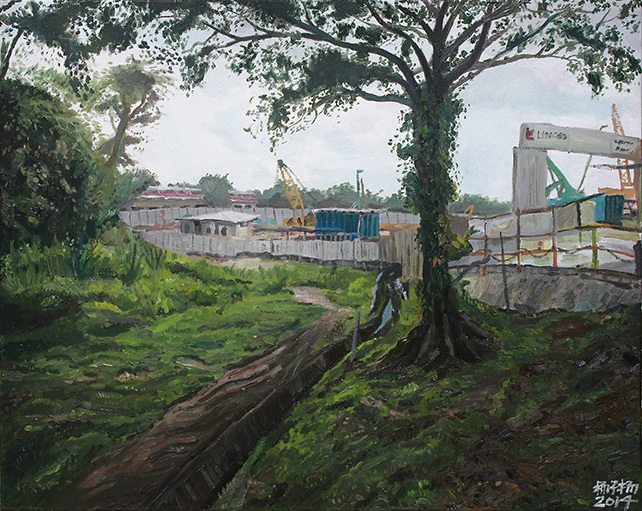 His paintings document the place he lives in and the changes it undergoes where construction sites are nearly ubiquitous. Although Tze Yang similarly refrains from portraying human figures in his work, his paintings are not without emotion. A sense of forlornness pervades the whiteness of his concrete walls and construction hoarding. When overwhelming, noise can be unbearable and evoke claustrophobia. 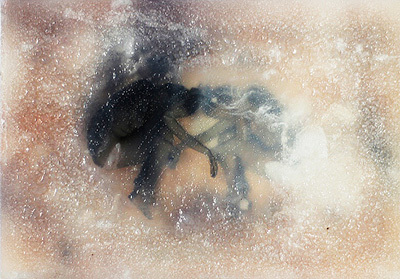 Temple by Ruyi Wong reveals human figures curled into a fetal position, set in handmade soap. The work is visually remindful that personal, protective spaces can be easily worn off, exposing the vulnerability of man. While Ruyi’s work takes on an intimate tone, Ezekiel Wong’s illustrations encapsulate the heightened hysteria living and being among people. Incubation teases out the absurdities of group behaviour from the vantage point of a bystander. Arranging his human figures into ridiculous scenarios, Incubation exposes the drama of human politics and questions the wisdom of groupthink. The works in Urban Hysteria explore the cleavages of our contemporary culture. In doing so, this show brings to light facets of the urban condition that seethe beneath our contemporary lifestyle. Urban Hysteria is curated by Stefanie Tham.